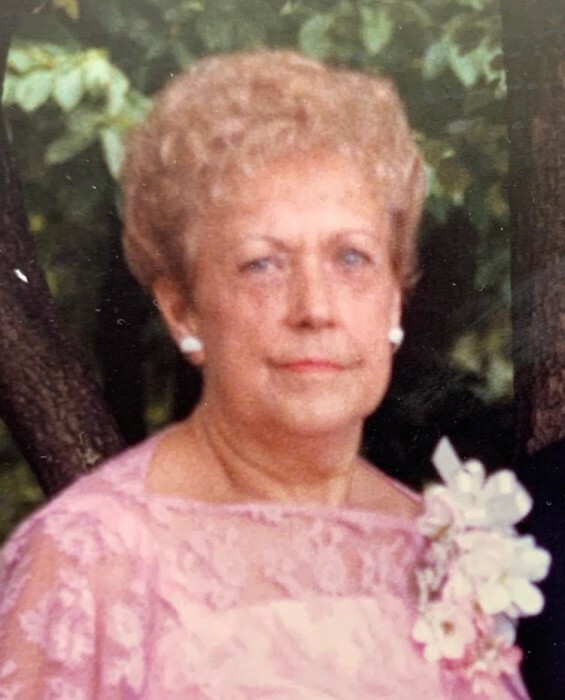 BOBOLA, Beatrice E. “Bea”, (O’Connell) 91, of Wildberry Apartments, Archambault Avenue, West Warwick, passed away Friday evening, April 5, 2019 surrounded by her loving family at home. She was the beloved wife of the late Stanley A. Bobola, Sr. A lifelong resident of West Warwick, she was a daughter of the late James J. and Stella (Matteson) O’Connell. Mrs. Bobola was employed at Royal Mill and Kenney Manufacturing for many years until her retirement. She was a communicant of SS. Peter & Paul Church where she was a member of the Rosary & Altar Guild and a member of Wildberry Tenants Association. She is survived by a son, Fire Marshal James A. Bobola, Dunn's Corners Fire Dept. and former Captain/Fire Marshal, WWFD (Ret.) of Scituate and two grandchildren, Olivia Gamache, Cumberland EMS and Andrew Bobola, PFD. She was the mother of the late Stanley A. Bobola, Jr. and sister of the late Arline Moniz, Margaret Brouillard, Captain James O’Connell WWPD, Robert and William O’Connell. Her funeral will be held Wednesday, April 10, 2019 at 8:00 am from the PRATA-GALLOGLY Funeral Home, 78 Providence Street, West Warwick followed by a Mass of Christian Burial at 9:00 am in SS. Peter & Paul Church, 48 Highland Street, West Warwick. Interment will be in Rhode Island Veterans Memorial Cemetery, Exeter. Visiting hours Tuesday 5:00-7:00 pm. In lieu of flowers, contributions to the American Cancer Association, RI Chapter, 931 Jefferson Blvd., Warwick, RI 02886 in her memory would be appreciated. Information and condolences please visit: www.PrataGallogly.com.